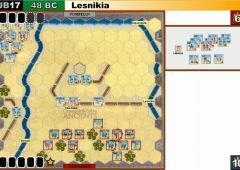 JD13 Lysimacheia (277 BC) - the Special rule I interpret to mean, the defender cannot ignore a sword or flag because of the camp. The occupant of the unfortified camp must still roll one fewer battle dice than usual when it battles. 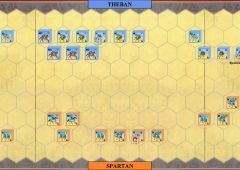 Carthage managed to keep it's 4 card hand working, with some cavalry action on the left, the it was settled with a clash in the middle. 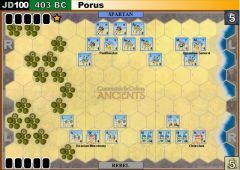 Pars's Epirotes win with 7-2 flags. 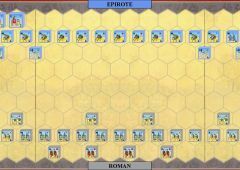 Epirotes lost 11 blocks to Carthagian 31. Epirotes advance early with 2 line orders. 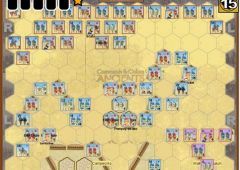 Elephants, medium and heavy inf crashed Carthagian line before Carthagians adjust their lines. 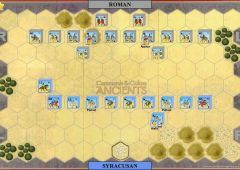 Carthage used Cavalry to open the battle. 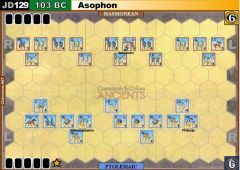 Epirote was able to counter these attacks and take the lead. 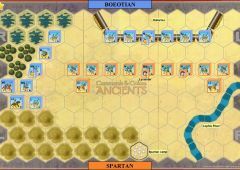 When Epirotes moved forward on their left flank, Carthage was able to counterattack to take the lead and then attack the center to end the battle. 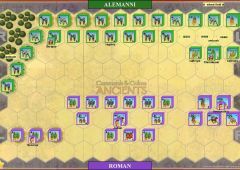 Epirotes were able to brush aside Roman cavalry attacks on the Right flank. 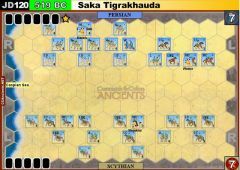 Counterattacks helped end the battle in the center . Uncertain if we were supposed to stop if both players had 4 or 5, if so, result should be Greg O 5, Cavie 4. 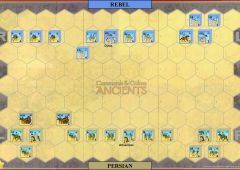 Battle was a slugfest in the center, as the forces lead one to play it that way, Greg had the better luck. 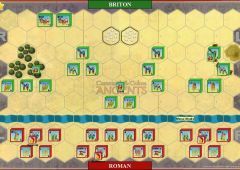 Antigonus Army had two lines commands and a center leader card in the opening hand and came on strong up the middle and the Gallic force never could get any initiative to counter. as per tournament notes, play to 6 banners for this scenario each time. Ignore the draw condition.